Children at Cherry Burton Pre-school marked the imminent end of autumn this week by welcoming local author Valerie L Pate in to read from her book, Millie Loves the Autumn. 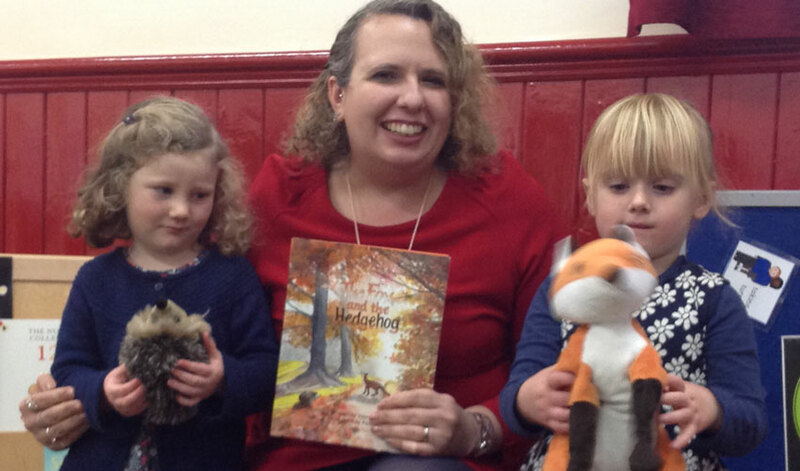 Learning about the seasons is a key part of the work at this innovative Pre-school, and this special reading by successful children’s author Valerie made the experience very special indeed. This book which featured at this year’s Beverley Literature Festival, takes you on a journey with Millie as she explores the wonderful sounds, colours and vistas of an English autumn. The children at this ‘outstanding’ Pre-school were very excited to welcome author Valerie into their Pre-school, and they finished off their work with an autumn craft session. Pre-school mum Louise Southwell was fulsome in her support of the range of activities on offer at the Pre-school. Pre-school Manager, Claire Newton hopes to have regular visits from Valerie in the future.